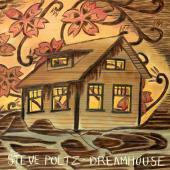 Free Steve Poltz concerts. Trade-friendly Live Music Archive concerts are available for download and/or streaming in formats including mp3, flac, and ogg vorbis. "jay holycross of indiana asked me if i mind being taped. i like being taped. tape away tape away. trade em to yer pals. so that they have them. >>Re: is it okay to share fan-recorded live recordings of shows at archive.org? sorry for the delay. i have been on the road. yes it is ok by me to share fan recorded schtuff. Steve is now selling official SBD copies of his shows after the performance.